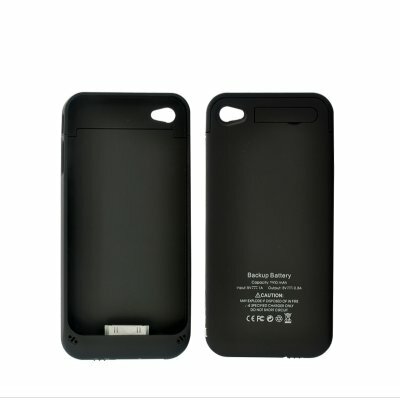 Successfully Added Slim Battery Case for iPhone 4 / 4S - 1500mAh (Black) to your Shopping Cart. 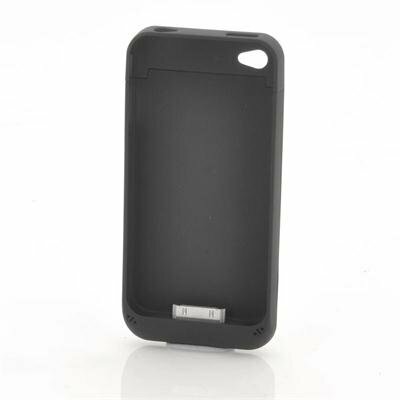 The perfect fit to for your iPhone 4 and iPhone 4S, this slim battery case lets you add a powerful 1500mAh battery without adding much weight. Size matters in the world of iPhone accessories and contrary to what you may have heard, smaller is better. Well at least that’s the case with this ultra slim battery case for iPhone 4 or 4S. This sleek case features a powerful 1500mAh battery that allows you to use your iPhone for close to double the normal time and doesn't tack on much additional weight and size, still giving you that perfect iPhone 4 or 4S feel. Unlike 99% of the other iPhone 4 or 4S battery cases on the market, this one is so slim that you can easily put it in any jean or shirt pocket without noticing any difference at all. In fact, both the minimal thickness and weight of the case are hardly noticeable and will feel very natural in both your hand and pockets. The li-ion 1500mAh battery can provide up to 6 and half hours of talk time while being connected to the 3G network, therefore if there is an emergency and your phone’s battery is low then this is the right accessory to save the moment. On the side of this case is a battery level indicator with blue LED lights for checking the battery’s charge status. When this battery case requires recharging, just do so like you would normally do and by use your own iPhone 4 or 4S cable and insert it into the allocated port. This iPhone accessory is sure to sell quickly so get your single piece or bulk orders in now while this product is still in stock and ready for shipping within one working day. Brought to you by the leaders in wholesale electronics, Chinavasion. "iPhone" is a trademark of Apple Inc., registered in the U.S. and other countries. This is not claimed to be an authorized or branded product by Apple Inc., although it is compatible. This product and our company are not affiliated with Apple Inc. or endorsed by them in any way. So far there are none. It's just takes a three weeks to month to receive it. battery works well. sometimes the phone doesn't accept it but don't worry it works and charges your phone more than 55 %. Materiale e descrizione eccellente, di gran pregio.